The story of a stuffed rabbit and his desire to become real, through the love of his owner. The book was first published in 1922 these fourteen original illustrations are enhanced and redefined. A child's toy in a child's world.The story starts with a message from the author, followed by Fourteen original color illustrations.Finally a detailed author's biography, with more of her published works listed at the end of the book.Punctuation added for ease of reading. Author Margery Williams (1881 - 1944) Margery Williams Bianco was born on July 22, 1881 in London, England; and deceased on September 4, 1944 in NYC, New York. An author, predominantly of children's records, but that is not where she got her start. 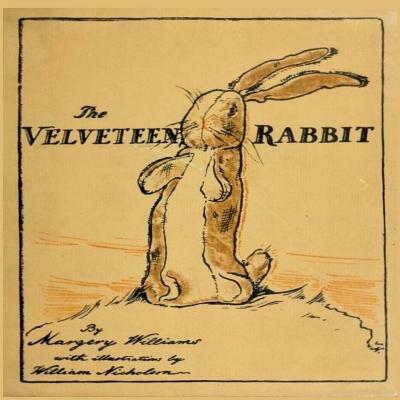 A good writer who was generally known for the 1922 release of The Velveteen Rabbit. The narrative of a sweet, humble toy rabbit who inquiries "what it is to survive and to love." It is the beloved story written by Margery Williams, whose other works were for adults up until, her most well-known book, and a classic for all times. Several children's books followed: 1925 The Little Wooden Doll, 1926 The Apple Tree and 1927 The Skin Horse. After which Bianco wrote numerous other children's books, in 1925's Poor Cecco: The Wonderful Story of a Wonderful Wooden Dog Who Was the Jolliest Toy in the House Until He Went Out to Explore the World-a book that has a long-winded title for today's standards. This lively adventure story is a novel for children, with many characters who inhabit the nursery. Illustrations by Arthur Rackham Cecco's illustrator may have assured its existence of rare book dealers The Little Wooden Doll, illustrated by her daughter, Pamela, in which the title character is badly mistreated but shown love and compassion by a child, which makes complete again. Bianco produced many books and short stories with toys coming to life to express human emotions and feelings. There was a period of gloom, but in the end the reader emerged. Margery Williams Bianco did not live to see Forward Commandos! published, she became ill and, after three days in the hospital, died at the age of 63.